Mikheil Saakashvili loses another deputy to the new law. The acting deputy chairman of the Odesa regional state administration (RSA) for social affairs, Maria Gaidar, has resigned. Gaidar’s press secretary Victoriya Sybir told UNIAN that the official tendered her resignation after the amended law on civil service became effective on 1 May. The novelty prohibits combining public service and the status of a deputy. Gaidar is a deputy of the regional council. "As of today, Maria Gaidar is an unpaid adviser to the RSA chairman and is no longer his acting deputy," Sybir said. She added that Gaidar is a citizen of Ukraine and had submitted an application to drop her Russian citizenship, but the Russian Federation has not yet confirmed the completion of the procedure. After the new law on civil service became effective on 1 May, another deputy of Saakashvili, Sasha Borovyk, tendered his resignation as he held both Ukrainian and German citizenship, while the law prohibits dual citizenship. 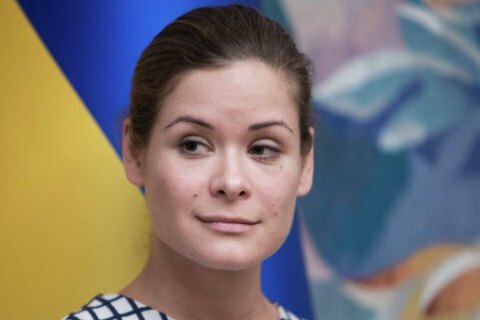 Maria Gaidar is the daughter of famous Russian reformer Yegor Gaidar, one of the leaders and ideologists of the Russian economic reform in the early 1990s. She is also a great-granddaughter of Soviet writer Arkadiy Gaidar.